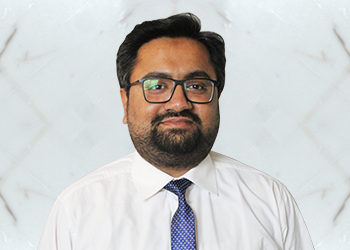 Danish Hasan | TPL Trakker Ltd.
A qualified Supply Chain Management expert and a highly solution focused and proactive procurement professional with 12+ years of experience in procurement, logistics, demand planning, warehousing and process improvement. Mr Danish Hasan’s capabilities lie in cross cultural team management, conduct category planning and supplier analysis to shape sourcing strategies. He is a high-performing team player who deploys a participative management style and expertise in motivating and mentoring team members, managing stakeholders and aligning CRM & business goals to achieve on-time targets. Danish is also proficient at conducting project planning & possesses immaculate business reporting skills; has experience of warehousing, budgeting, financial planning, demand analysis, forecasting & material resource management.